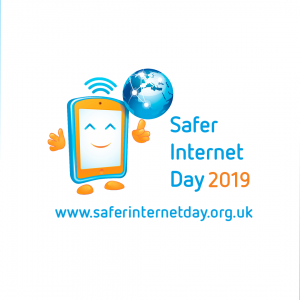 Tuesday 5th February is Safer Internet Day. Please use this page, or click the link below, to find links to a wealth of resources to help you keep your child safe online. E-Safety is an important part of keeping children safe at Mill Lane. We have extensive security measures in place in school, which are monitored both internally and externally, to help safeguard pupils from potential dangers or unsuitable material. Any e-Safety incidents are recorded and managed in accordance with our E-Safety Policy (see Policies section of the web site). E-Safety is taught to all pupils explaining and demonstrating how to stay safe and behave appropriately online. It is important to be aware, that although Facebook, Instagram, and other social media profiles can be something our children want to be a part of, the permitted minimum age to use these sites is 13 years old, according to their terms and conditions. • have content which is appropriate in terms of the language and/or images on them, and if your child’s profile is appropriate, be aware of the profiles of friends. Websites such as Facebook offer amazing communication and social connections, however they are created with their audience in mind and this is specifically over 13 years old. Facebook uses “age targeted” advertising and therefore your child could be exposed to adverts of an inappropriate nature, depending on the age they stated they were when they registered. Language, games, groups and content posted or shared on Social Media Sites are generally not moderated, and therefore can be offensive, or unsuitable for children. show your child how to report and block. Photographs shared by users are not moderated. Show your child how to report and block. Social Media Sites could be exploited by bullies and for other inappropriate contact. Social Media Sites generally cannot and does not verify their members; therefore it is important to remember that if your child can lie about their age and who they are online, so can anyone else. Have converstaions with your child about this. We feel it is important to point out to parents the risks of underage use of such sites, so you can make an informed decision as to whether to allow your child to have a profile or not at the moment. Mill Lane takes e-safety very seriously, and we discuss E-Safety issues throughout the year with our pupils. There is lots of e-safety information on our school website that contains resources for parents and children (see links below). Please come to see myself, Mr Abbott, or any other of the staff in school to discuss this further if you feel there is an concern or would simply like further information. Computing is a vital skill and education around its safe use is essential. These sites all require a password which can reset by the class teacher if your child forgets their password. Google offers a SafeSearch filtering which can be activated on a family’s computer. This feature can be accessed through the “settings” on the Google page.